Holy Rare Beast, Batman! Here’s something that rarely comes up for sale, a 1966 Yamaha Batcycle! 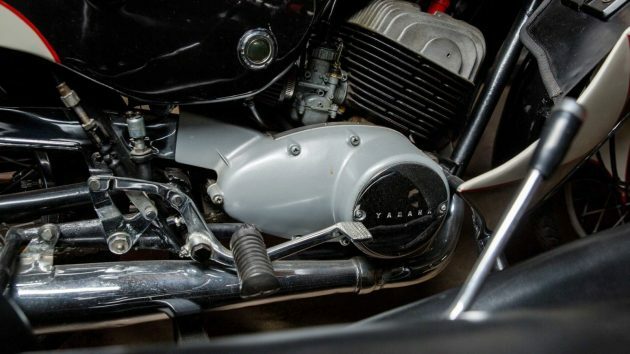 This authentic, or at least authentically-recreated, masterpiece of engineering and design genius (not that I’m biased) is listed in an upcoming Mecum Auction to be held in Kissimmee, Florida on Friday, January 13th. Yes, Friday the 13th! 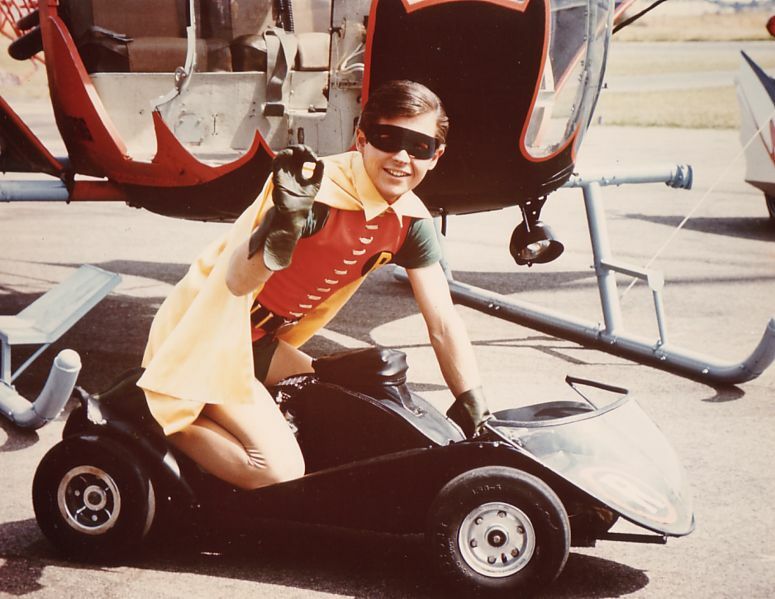 If you don’t remember the original Batman series that ran on TV from 1966 to , that isn’t just a stationery sidecar, it’s an actual gas-powered go-kart! 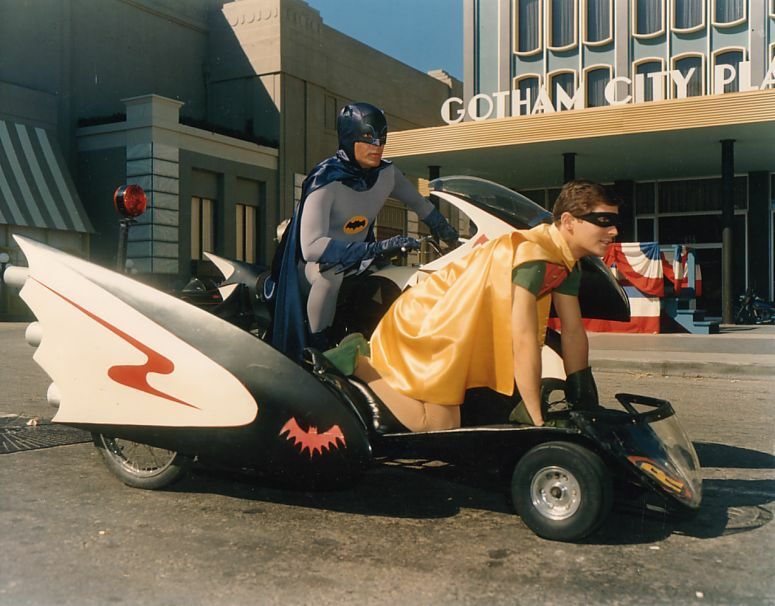 Bert Ward, aka Robin, rode there while Adam West, who most of us know as the original Batman from the 1960s TV series, rode the 250 Yamaha that was decked out as the Batcycle. There is no auction estimate for this one but a similar bike with sidecar sold at a 2009 Barrett-Jackson auction for $24,750. I’m guessing that this one will bring at least that because it was originally a part of the Harrah’s collection before being bought by a dealer in California and restored back to its original configuration and sold to a heavy-duty Batman collector in 1988. It hasn’t been touched since then and it’s for sale once again, almost three decades later. Other than maybe a replica of the Batmobile, I can’t imagine what vehicle could attract as much attention anywhere it went, at least among folks 30 or 40 years old or older. This one actually appeared in the TV show, according to the notes in the Mecum auction. 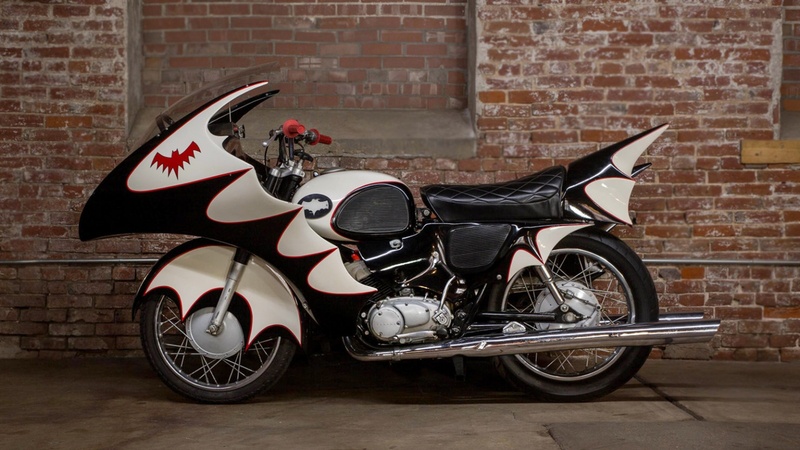 There is a wide history of this bike, being made in 1966 for the TV show, and then after the show going to the Harrah’s collection, being sold to a dealer who also bought an original Batmobile and ended up selling both of them to a collector who had them on display. I think, Hollywood Star Cars in Gatlinburg, Tennessee. It sold for almost $52,000 at a Bonham’s auction, so this one will be well over my budget. But, with any of these TV vehicles, it’ll take a lot of paperwork to authenticate whether this is the real deal or not. Even if it isn’t, it’s easily worth $25,000-$30,000. This is the heart of the Batcycles, and they made four of them: a 1966 Yamaha YDS-3 Catalina 250 cc twin. Robin’s ride, the go-kart, was powered by a Yamaha 55 cc engine with electric start and three-speeds! I can not imagine how cool it would be to own this rig! I’m a lifelong Yamaha fanatic anyway, and a huge fan of the original Batman series, campy and cheesy as it was. If the world somehow stops spinning and all technology pauses when the bid gets to $10,000, this one will be mine. If not, it’ll go to someone else. 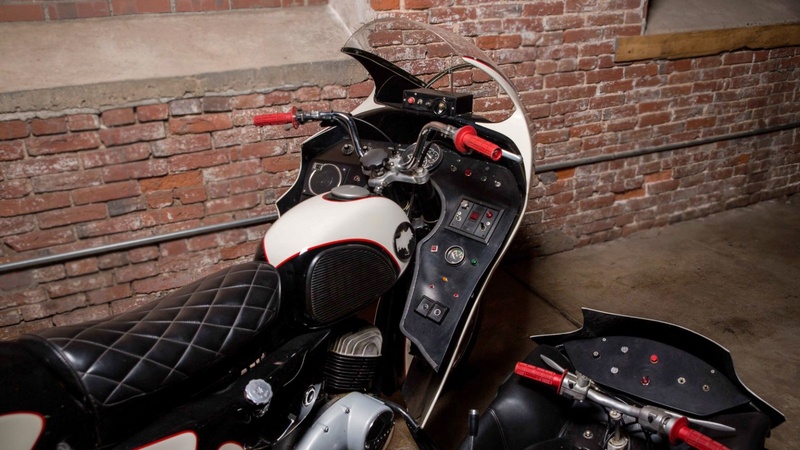 Do any of you remember the Batcycle, or do you even remember the Batman TV show?